Move over Richard Branson, it seems like the tie is making a comeback in a big way. More and more people every year are bucking the once-popular trend of not wearing a tie at all. Instead, ties are seen more often with suits, with semi-casual get-ups, and more. Heck, some people even use their tie as the centerpiece of their outfit, making everything else match it. It has never been a more popular accessory, and as I already said, is sometimes now the dominant piece in a person’s outfit! Choosing a tie that’s right for you can be a challenging task in itself. There are hundreds, even thousands of options to sift through out there now! But picking out a good tie shop makes the job that much easier. And lucky for you, Mr. Formal’s online shop is now up and running. You looking for a snazzy black tie? 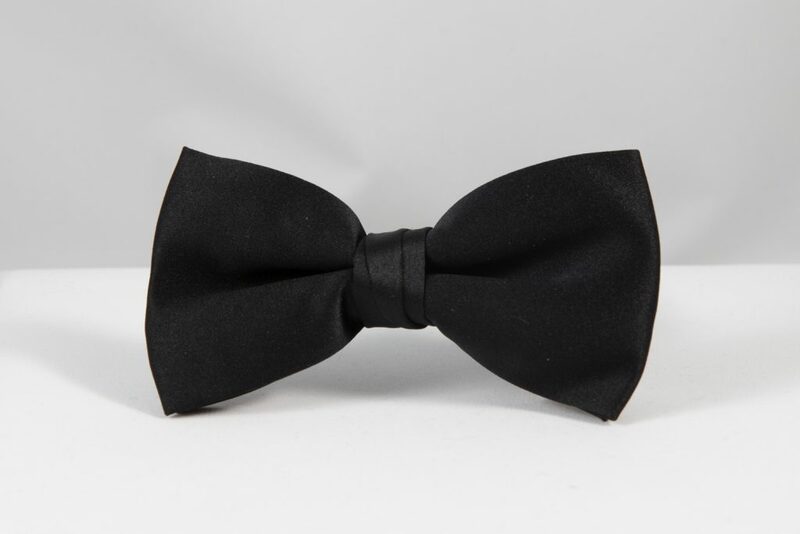 Mr Formal’s tie shop has several different options for black ties, in either bow tie or necktie form. You can easily look through all of the options in a quick two minutes! Our tie shop also regularly stocks up on our more popular choices, such as skinny black ties. Mr Formal’s online tie shop makes our huge in-store selection available to all of North America! If you look here, you can look through our wide selection of solid-pattern colored neckties. You can find something in this page alone to match just about any shirt or jacket you might put on! Or if you’re looking for something really nice, you can find a few different designer choices in our tie shop as well! 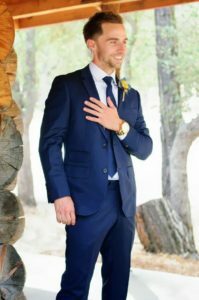 There are a few different options to buy these on their own, However, there are also options that allow you to buy a set, like a designer tie and cummerbund set. Maybe you are looking for something other than ties though. Thankfully, Mr. Formal is a lot more than just a tie shop. 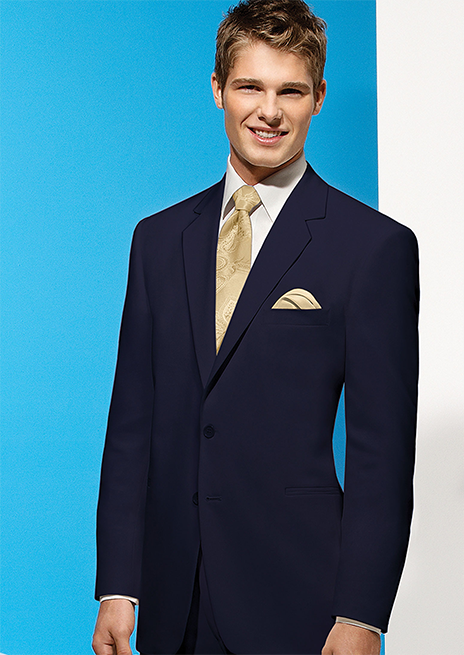 We have specialized in men’s formal wear for many years now! 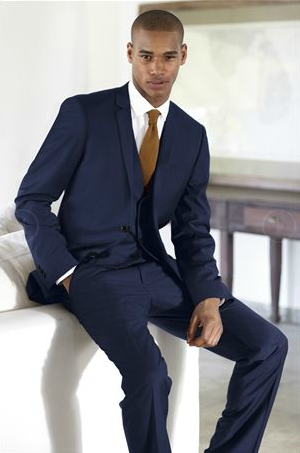 You can find a wide range of tuxedos, suits, vests, and many different formal accessories to accompany your outfit! Our Central Phoenix location is at 333 East Camelback Road, Phoenix Arizona, 85012. Our Glendale location is further north at 3434 West Peoria Avenue, Phoenix Arizona, 85029. The hours for both stores are the same: Monday – Friday 11AM to 7PM, Saturday 10AM to 5PM, and Sunday 12PM – 5PM. However, if you don’t live in the Phoenix area, you can go through our tie shop just by going to our online shopping page. Be sure to join our mailing list! We send out occasional discounts and messages to our mailing list subscribers, and you can be sure to take advantage of those. Have fun looking through our online tie shop, and we would love to see your completed outfit on our Facebook page! Prom Tuxedos; three ways to impress with your tux! Maybe you’ve riding the elation wave that comes after your ideal lady says yes. Maybe you’re going stag with a group of your pals and have a great night planned. Either way, congratulations; you’re going to your high school prom! Now comes the part that every guy has to do, whether they have a date or not. You need to look at some prom tuxedos! Don’t be worried, this step doesn’t have to be hard. In fact, go to the right place and it can actually be pretty fun! 1. Match her colors…a must for the man with a date! The traditional thing to do is to wait until your lady picks out her dress. Then you simply pick out a prom tux with a vest and tie with a color to match it. If she’s wearing a black dress, that’s even easier and leaves you with more options. He matches his lady. So should you! 2. Prom tuxedos are even easier for single guys! However, if you’re one of those guys whose going stag with his buddies, then congrats…this is WAY easier for you! No lady means nothing that you’re required to match, so you can pick just about anything you want. Some guys go with vest and tie colors to match their school banner, or their prom’s theme. Some dudes just wear whatever they want! The red coat, by Jean Yves…a Mr. Formal exclusive in Arizona! 3. Don’t lie about your body shape; you’ll only cheat yourself. You’re also going to want to be honest with your tuxedo expert on how you want to look. 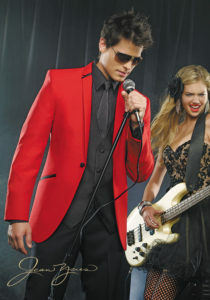 If you’re an athletic guy or have a decently slim or average shape, fitted prom tuxedos are generally the way to go. However, if you’re a bit on the bigger side, then don’t cheat yourself by trying to squeeze into a fitted tux. A standard fit will end up looking much better on you. I’ve had several guys say they wanted a ‘size smaller’ than what I measured them for, only to be uncomfortable the day of the event. I understand that for most guys, this is their first time picking out prom tuxedos…or any tux, for that matter. But if you go alone, your experts at Mr. Formal will make sure you hit the prom looking your best! I’m sure you’ve seen the pictures of some of the more old fashioned tuxedos. And to be perfectly honest, many people these days no longer find them very desirable. As such, more and more wearers prefer the cleaner-cut fitted tuxedos. Once such feature is the so-called ‘shoulder pads.’ These subtle inserts are designed to artificially broaden the wearer’s shoulders, and make them look more masculine. 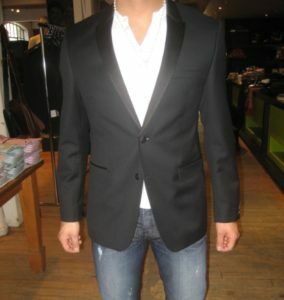 However, in lower quality tuxedo coats, the shoulder pads are more obvious than in higher quality outfits. Fitted tuxedos eliminates this undesirable feature by either including much smaller shoulder pads, or eliminating them entirely. Relaxed fit coat; also referred to sometimes as baggy. This is another one of those coat features that people don’t really find desirable anymore. Many older coats have more of a straight-down cut. This gives them more of a, for lack of a better word, ‘boxy’ sort of look. This type of appearance doesn’t really mesh too well with the typical body type nowadays. This fit actually isn’t optimal; there should be no ‘pull’ on the coat from the button. This gentleman needs a size bigger. 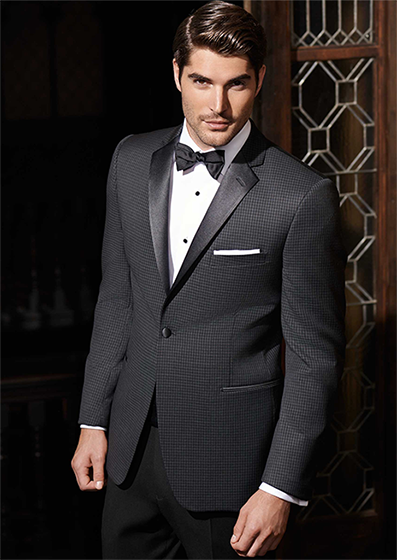 Lots of people prefer the fitted tuxedos also because it eliminates this feature. 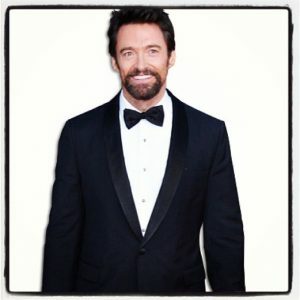 A fitted tuxedo sports more of a ‘tapered middle,’ which accentuated the build of the majority of people’s body build. Look over there; is it Shakespeare? No, it’s just a guy in pleated pants. Pleats are small folds in the thigh area of pants. These allow for more mobility and greater comfort when doing things like sitting, squatting, or even dancing. 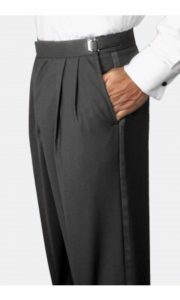 A pair of double-pleated tuxedo pants. And while this is great, is had the side effect of simply making a person’s thighs look wider than they are. It also adds more loose fabric to hang free; not a good thing. Pants that come with fitted tuxedos not only eliminate the pleats. They also go one step further, and provide a tighter fit. This is also known as ‘skinny fit pants, and they do give the wearer’s legs a more slender appearance. However, if you have bigger legs, consider getting pleated pants, or go halfway; look for non-pleated, non-skinny fit pants. Skinny pants and large thighs or posterior are a volatile combination; ripped pants can mean a big rental replacement bill. 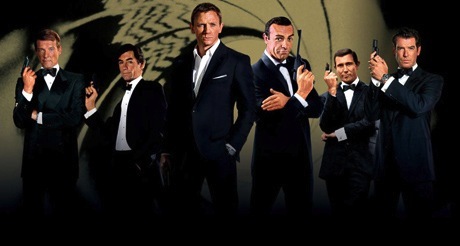 So these are just a few of the features that fitted tuxedos don’t include. However, there are some cases where these features can be more helpful than out-of-date. Be honest with your tuxedo expert. How do you prefer your tuxedos to fit? Let us know in the comments and rate the article below!